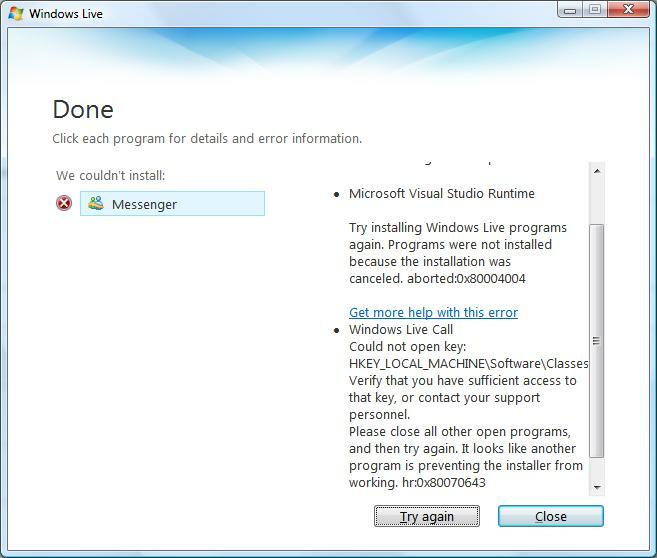 This problem is very common with the last windows live installer. All you have to do though, is to click "Try again" over and over until it's installed. My laptop needed 3 "try again" while my desktop 1 "try again". Hope this helps.